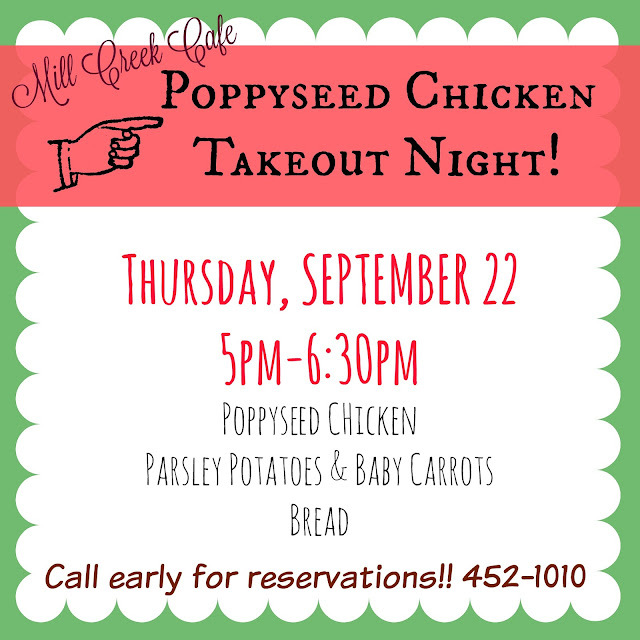 Mill Creek Cafe: Poppyseed Chicken Takeout Night! Amazing Food!thanks for share next week mabe i try to do it...!! !thanks a lot.